Young America - A. S. Thomas, Inc. 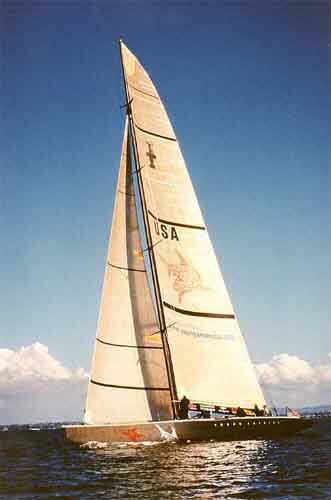 Syndicate's challenge for the America's Cup 2000. Keel Fin - The following shows the refixturing of the keel fin on the JOBS Bridge Mill. The keel fin is 9 feet long and weighs over 4500 lbs.